Rosey and I have started a kind of thing, where every weekend we try out a new restaurant in Nairobi and I hopefully write about it. I’m tempted to call it a “Ladies of L (leisure) lunch date” like some sort of club, like the First Wives Club or something, except we only have two members, and we aren’t bitter divorcees. 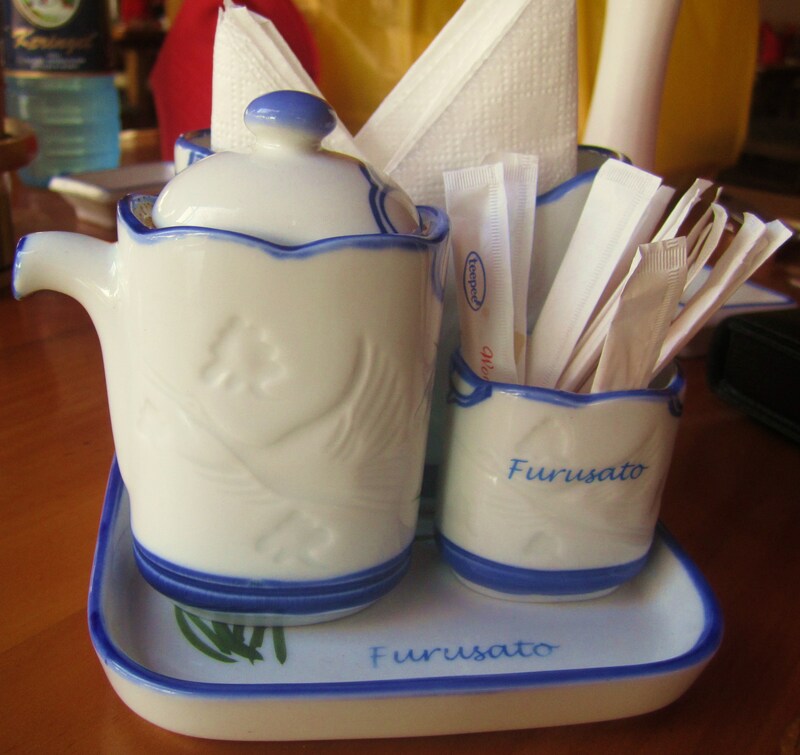 So we picked Furusato Japanese restaurant, Westlands for our lunch date on a sunny Sunday afternoon. The restaurant itself is gorgeous, has a beautiful garden you can sit in, but we chose to sit inside; the solar was particularly strong. The waiter brought us this bible looking menu, which were a little bit intimidating to look through. The menu has a sushi, noodles and Teppanyaki selections. We went for sushi (of course) and noodles. Though I did have the Teppanyaki a couple of days later for my mother’s birthday, which was really good, very entertaining. 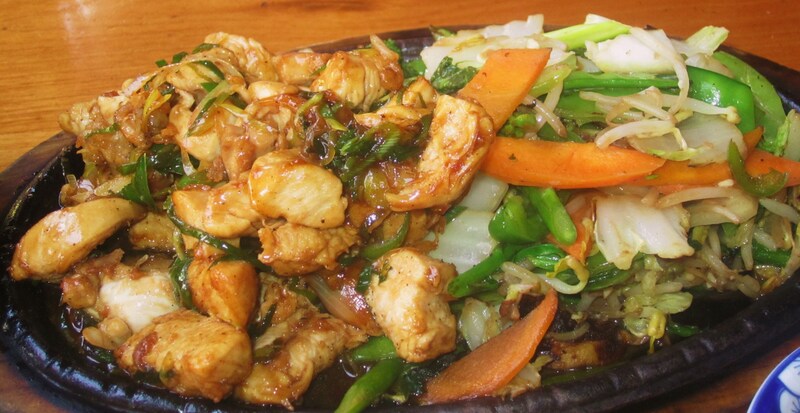 I found out that Teppanyaki in Japan, refers to dishes cooked using an iron plate (you learn something new every day!). 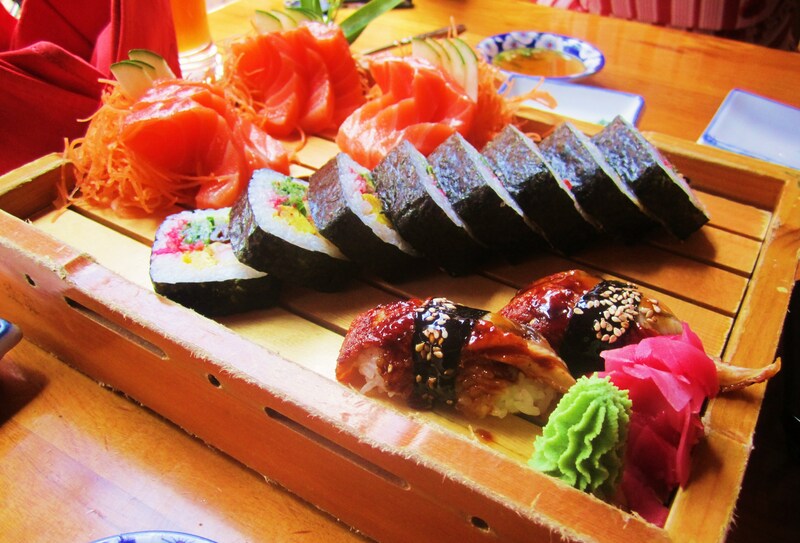 We ordered Salmon sashimi, Unagi (eel) sushi and Dynamite Rolls as well as Prawn Tempura to start with. Rosey had the Chicken Teriyaki with Vegetable rice and I had the Nabe Yaki Udon; which had fish, chicken, tofu and prawns, Udon noodles in a broth. It was at this point the waiter pointed out to us that we have ordered way too much food for two people, we disagreed! Though later it was evident the waiter was right, when we almost passed out from being so full. The salmon was what it was, salmon sashimi, It did have a nice marbling on it. I’m ever satisfied with salmon. 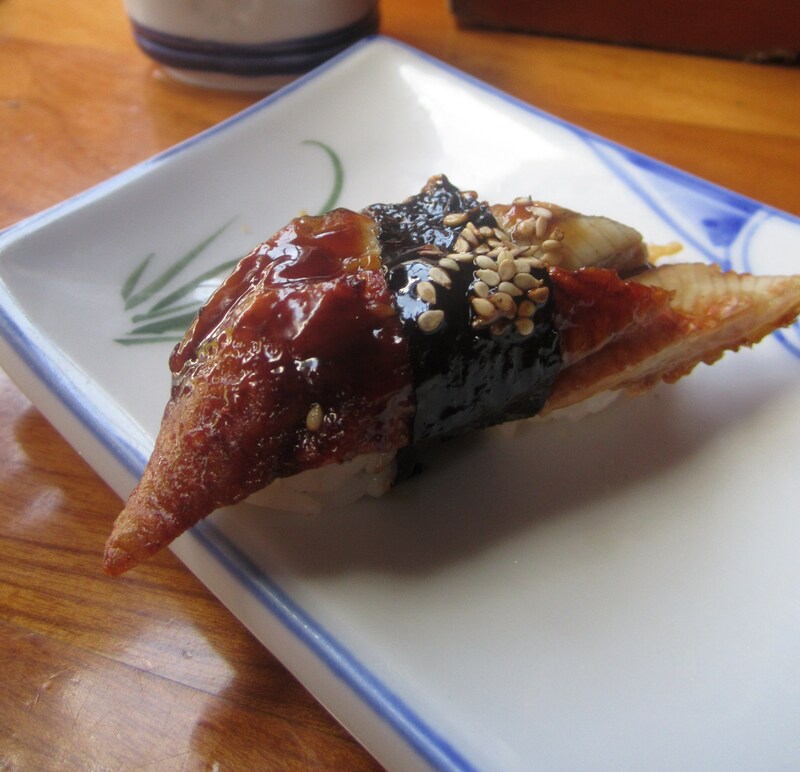 The Unagi (eel); I’ve had it at Onami in Westgate but the Unagi at Furusato is much tastier, fleshier and warm. I’m always trying to get people to try it, they are kind of put off eating eel, but the thing with eel is that it isn’t raw, and comes in a teriyaki sauce. I managed to get Rosey to try some and she loooved it! (Pat on the back for me). The Dynamite Rolls (shrimp tempura, avocado, pickled radish, cucumber and some other ingredient i couldn’t identify) were the best part! 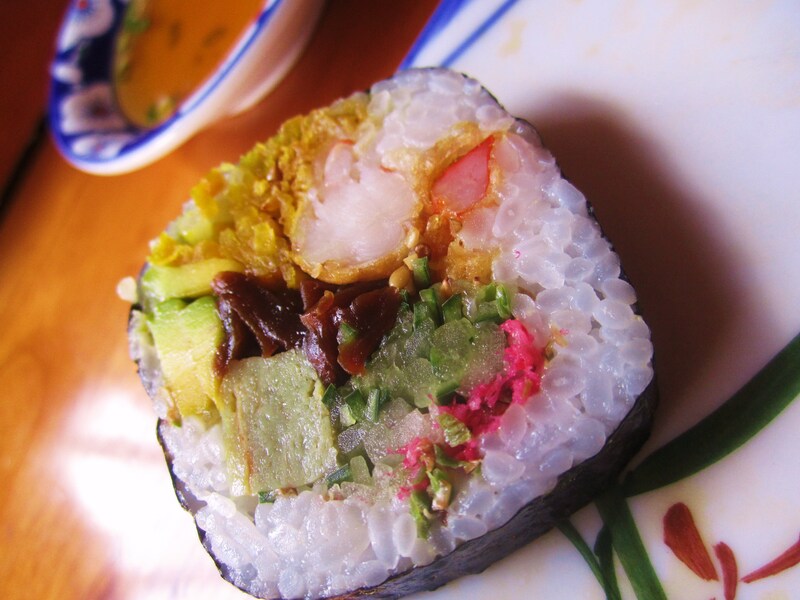 There is nothing like a good roll to complement salmon, or maybe that’s just me? The rolls had a really good chilli kick from the horse radish; it left your mouth tingling, which you would cool with a sliver of salmon… PERFECT! 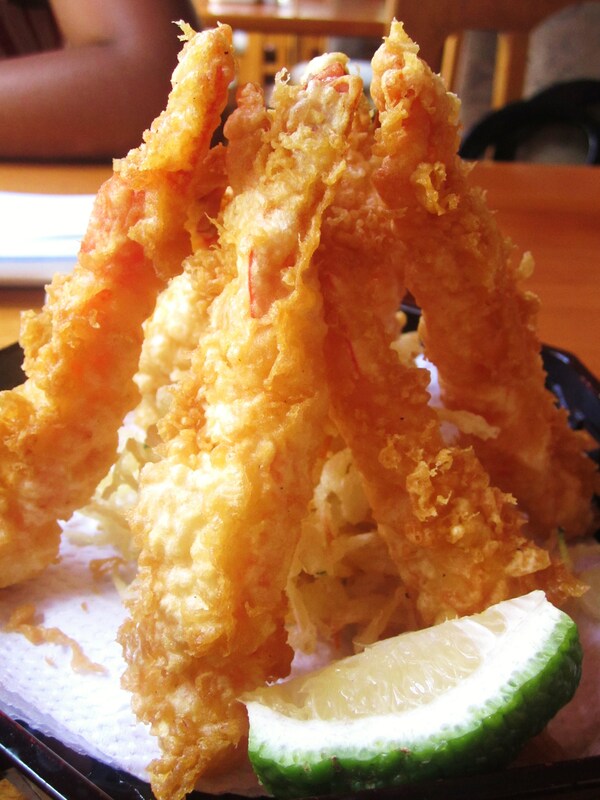 The prawn tempura was a little disappointing; it was a little soggy in parts. By the time the hot food came round, I was already filling up and size of the meal as it came out didn’t help much. But it is my duty to eat, or at least taste all the food. 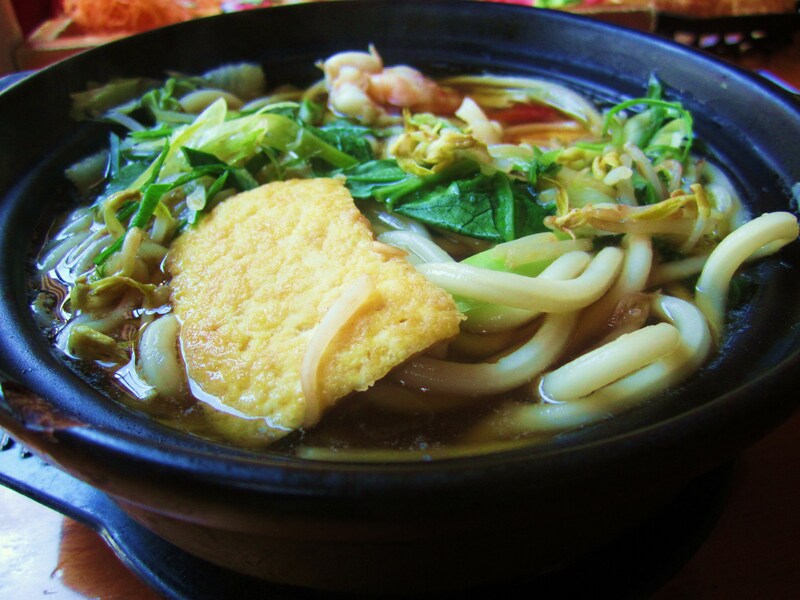 My Nabe Yaki Udon came in a large cast iron bowl, very colourful and smelt like fish broth! Despite the fishiness it was actually really pleasant, I had to fish out the pieces of tofu; I am not the greatest fan of tofu, but other than that the few spoonfuls I had were excellent. Rosey’s Chicken Teriyaki was good too; it was a whole lot but good. I liked the mountain of veggies it came with. But having eaten half the sushi bar, there was no way either of us was going to finish our meals, so we asked the waiter to pack it for us, to which he chuckled and said ‘niliwambia’ (I told you so). Rosey and I rolled out of the restaurant in search of shoes; nothing like a great lunch and a pair of shoes to make a Uber-perfect day! you can find Furusato on Peponi Road/Grove, it is so worth checking out! Again, thank you Rosey for making it a most amusing afternoon, I couldn’t ask for a better date. I’m looking forward to more ‘Ladies of L lunches’ with you! Wow!! I am so intrested in your adventures “ladies of L”. It is nice to see people intrested in real cuisine… I would love to be a member, but I live across the big pond….